In-flight Entertainment System | AdonisOne Call today! one system works for your entire fleet from a Kingair to a Boeing 747-400! AdonisOne™ Portable in-flight entertainment system. The only IFE system that delivers media and a worldwide moving map system up to 500+ passengers using one device! 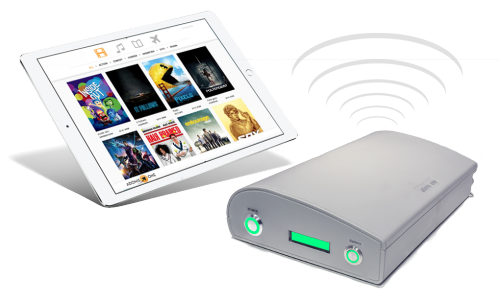 The AdonisOne™ portable in-flight entertainment system delivers media and a worldwide moving map display directly to any smart personal device without the need for pre-installed apps or software. The content is delivered using our supplied in-cabin server and WiFi router built into an attractive all-in-one case. AdonisOne’s portable in-flight entertainment system offers the ability to stream up-to-date content and a real-time moving map system. With the AdonisOnes proprietary A1 Future Proof Technology ® one system is scalable upwards to accommodate up to 500+ passengers. All of the AdonisOne portable in-flight entertainment systems include the following and can be customized to suit end users requirements. Purchase your AdonisOne portable In-flight Entertainment System today! “It is amazing! The AdonisOne in-flight entertainment system brought our B767 fleets IFE system into the 21st century!" “We purchased 5 AdonisOne LX in-flight entertainment system for our charter op’s and our uplifts have increased 18 percent!" 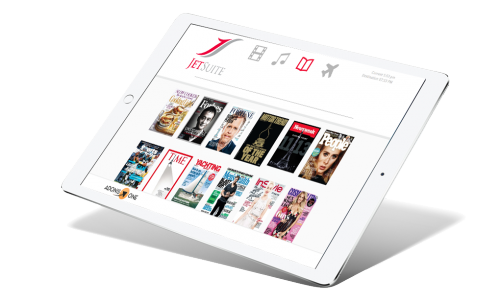 The proprietary AdonisOne Portable in-flight entertainment system software utilizes Paradigm Tech’s user interface that is completely customizable. The system has a secure admin system / CMS that allows for the following. Save hundreds of thousands of dollars over the cost of Rockwell Collins, GEE, Gogo and FDS in-flight entertainment systems. The AdonisOne Portable in-flight entertainment systems come with a fully functioning moving map system utilizing GPS and GLONASS constellations. The system allows for IACO codes, ETA, ETE, altitude, airspeed and more. The AdonisOne platform delivers content (Movies, Magazines, Songs, Moving Map Display and Customized Documents) directly to laptops, tablets and smartphones utilizing wireless technology.